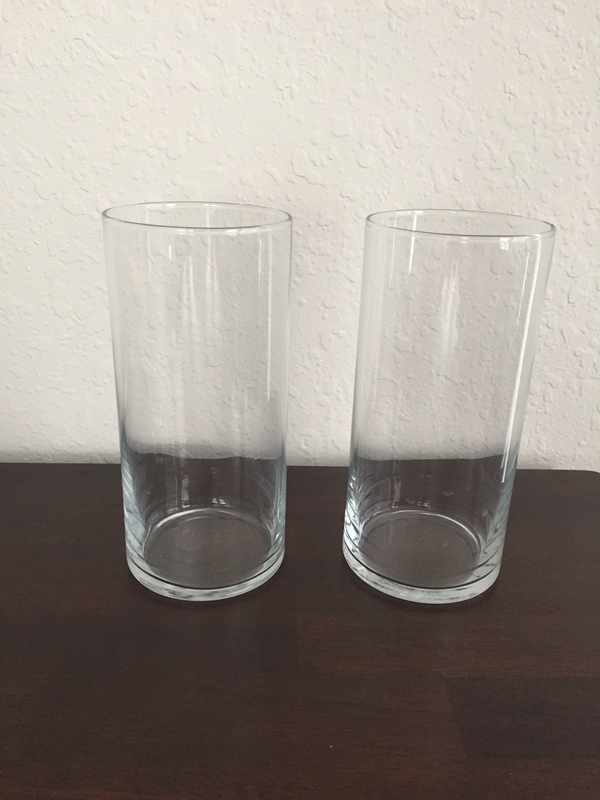 Glass 7.25 inch Cylinder Vases. Have 5 vases for $5 each. Great condition, only used once for my wedding.